The Ministry of Roads and Highways in conjunction with the Ghana Highways Authority will from next week shut down the Kasawere river bridge to enable the contractor Messrs Jo-Mint Associate carry out emergency works on the three cell 4 metre by 4 metre box culvert to replace the bridge. The highly occupied bridge located on the Oda – Aboabo section of the Oda – Agona Swedru road in the Eastern region will undergo repairs for defects found on the infrastructure. It is not clear the number of days that work is expected to last after it closure. One alternative route that has been provided is the Oda-Aboabo by-pass which will officially be open on the day of closing the Kasawere river bridge by the Minister of Roads and Highways, Mr. Kwasi Amoako-Atta. 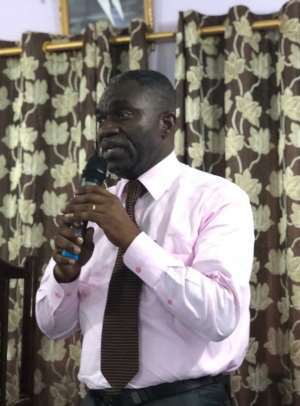 This was disclosed by the Member of Parliament for Akyem Oda, Mr. William Agyapong Quaittoo on Tuesday at the 1st ordinary meeting of the 4th session of the Birim Central Municipal Assembly at Akyem Oda in the Eastern region. Mr. Agyapong Quaittoo used the opportunity to advice motorist who ply that section of the road to adhere to directional and safety signs that will be placed at appropriate section of the road. According to him a temporal foot bridge will be erected side way of the bridge to enable pedestrians cross to the Jubilee hospital and other vicinity close to the bridge. In his sessional address, the Municipal Chief Executive (MCE) for the Birim Central, Mr. Kwabena Bempong announced that the Assembly has been selected among some 25 Municipalities to benefit from the Ghana Secondary Cities Support Programme (GSCSP). The programme he said is targeted at institutional and infrastructural development in the country’s emerging or secondary cities – aimed at addressing some of the important development challenges while at the same time assisting in implementing government’s decentralization and urban development policies. The initiative is an agreement between the Government of Ghana and International Development Association (IDA). Mr. Bempong noted that, the development of these secondary cities will enable the Municipalities to play their key roles as administrative centres; as incubators for small business development and as nodal points in rural-urban linkages. On the local industrialization drive of the One District, One Factory initiative (1D1F), Mr. Bempong said a business plan of ‘Abibimo’, a local rice milling firm based in Oda Nkwanta has been submitted to the 1D1F Secretariat for consideration and appeal to the secretariat to speed-up the process to enable the company commence business.